The European Parliament will hold a high-level conference for industry and political decisionmakers on European space policy at the European Parliament Hemicycle in Brussels, Belgium on October 26 and 27, 2010. 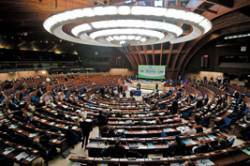 It is organized by Business Bridge Europe (BBE) and Parliament’s Sky and Space Intergroup. With the signing of the 2010 Lisbon Treaty, space become a "European Policy," and the European Commission and Parliament have the responsibility to give Europe a major role in space.The conference will cover future industrial policy for space and the financing and the development of space infrastructure applications to the service of civil society, environment and security. Of particular interest to GNSS readers is Session 4 on October 26: State of Play of the Main European Space Programs. It emphasizes the Galileo satellite navigation system and the GMES initiative (Global Monitoring of Environment and Security). Admission is free. Online registration will open in September.